Information for room reservations can be found here. This is the First Call for Abstracts. The deadline for poster abstract submissions is April 30, 2019. Abstracts are accepted online. Congratulations to Dr. Jitender Sareen, the winner of the sixth annual Dr. Samarthji Lal award. The 2015 impact factors were published, and JPN has an impact factor of 5.86. We are #15 out of 140 Psychiatry journals and #29 out of 252 Neuroscience journals, now the highest ranking open access journal in biological psychiatry. a) to provide a forum for clinical and basic science researchers to discuss and exchange ideas and experience in neuropsychopharmacology and to promote the development of this science nationally and internationally. b) to be a liaison body to educational institutions, public, industry and government organizations as well as other related scientific bodies in order to promote quality of research and treatment in this field. 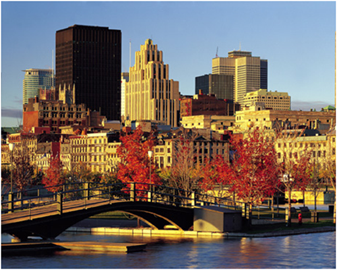 This is the first Call for Poster Abstracts for the Canadian College of Neuropsychopharmacology 2019 meeting to be held in the heart of downtown Montréal at Thomson House (McGill University), June 12th-15th, 2019. Poster submissions should include: (1) Title, (2) List of authors with affiliations, (3) Abstract: introduction, methods, results and conclusions (maximum 300 words). The local organizing committee encourages submissions with a translational component and a mix of junior and senior researchers. We encourage individuals from equity seeking groups such as women, racialized/visible minorities, Aboriginal peoples, persons with a disability and others who reflect the diversity of Canadian society to be included as presenters. Abstracts and registration are now accepted online. The deadline for poster abstract submissions is April 30, 2019. Download or view the 2019 Preliminary Program. In keeping with CMA guidelines, program content and selection of speakers are the responsibility of the planning committee. Support is directed toward the costs and not to individual speakers through an unrestricted educational grant. The Canadian College of Neuropsychopharmacology appreciates the ongoing support of Pfizer Canada Inc. for the Heinz Lehman, Innovations in Neuropsychopharmacology and the Young Investigator Award. As an organization that embraces diversity and inclusiveness, the CCNP joins many national and international scientific organizations in supporting the scientists and students victimized by the White House executive order that seeks to ban the citizens of seven Muslim-majority countries from entering the USA. Thousands of students and colleagues from diverse countries, cultural, and religious backgrounds benefit from highly stimulating education and research environments in North America. Many of them adopt North America to develop highly productive professional or research careers. Others return to their countries and contribute to their development, thus making the world a better and safer place for all. Travel bans hamper these constructive and beneficial scientific exchanges between nations, and can only make our world more divided and dangerous. The CCNP strongly believes that science transcends divisions based on all kinds of stereotypes, and invites the construction of a reality based on facts, and facts alone, for the benefit of humankind. It is a fact that open science, through the free circulation of students, researchers, ideas, data, and discovery, is now a major engine for the advancement of humankind. Any hindrance to such advancement must be vigorously opposed by the scientific community and, hopefully, will be. The Journal of Psychiatry & Neuroscience has an impact factor of 5.86 (2015 ISI data) and is ranked at #15 out of 140 Psychiatry journals and #29 out of 252 Neuroscience journals, making it the highest ranking open access journal in biological psychiatry. Original research and reviews in basic and clinical science. Articles published in the journal are available free of charge at http://jpn.ca and through PubMed Central. For more information, visit the website of the Canadian Medical Association. Le facteur d'impact de la Revue de psychiatrie et de neuroscience atteint 5,86 (données 2015 de l'ISI), ce qui en fait le journal à accès libre le mieux coté aussi bien dans la catégorie psychiatrie que dans la catégorie neurosciences. Les articles publiés dans ce journal sont accessibles gratuitement au http://jpn.ca/ et via PubMed Central. Pour obtenir des informations suplémentaires, visitez le site internet de l'Association Médicale Canadienne.